Amy Gelsthorpe is the author of Star Fishing (MacLaren-Cochrane Publishing, Nov. 7, 2017) a children’s picture book about creativity and using the imagination. As a full time children’s book author and stay-at-home mom, Amy was inspired to write by the adventures of her family and her children’s imaginations. Amy has always loved writing, having written and kept her first book of poems from the fifth grade. Today Amy enjoys reading—children’s picture books, spiritual devotionals, and quirky, fun, fiction—writing, spending time with family and friends, yoga, and…Christmas! Amy is a passionate Christmas decorator and her Christmas adornments have been featured on the national news, social media sites of major retailers, and numerous blogs. Amy has lost count of her Christmas trees. Every room has at least one! 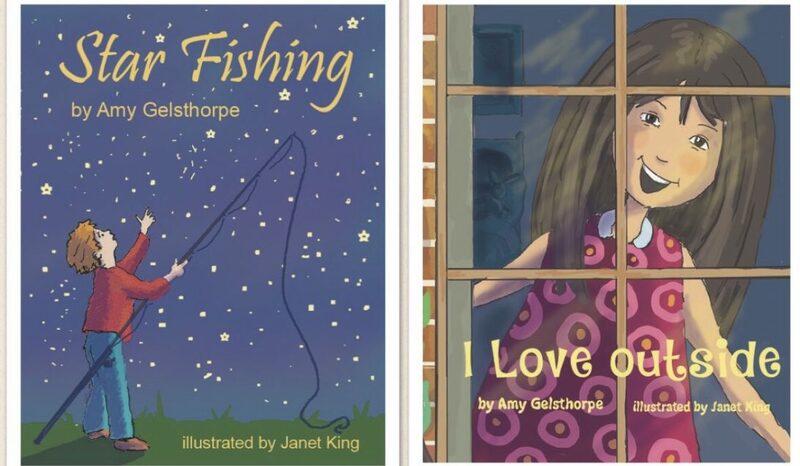 Amy seeks to inspire children to love to read from an early age. Not only is she focused on providing stories for avid readers, but she also has a special place in her heart for children with learning differences as one of her children has dyslexia, a learning disorder marked by difficulty in understanding written language. Amy was pleased to find a publisher, MacLaren-Cochrane (http://maclaren-cochranepublishing.com) which offers books in both traditional and dyslexic fonts. Amy (https://amygelsthorpe.com) has another picture book, I Love Outside, which her publisher will release in 2018. She lives outside Atlanta, Ga. with her husband; three amazing, talented children; and two adorable dogs. So excited to see what children’s books are in the works! I teach 2nd grade and am executed!